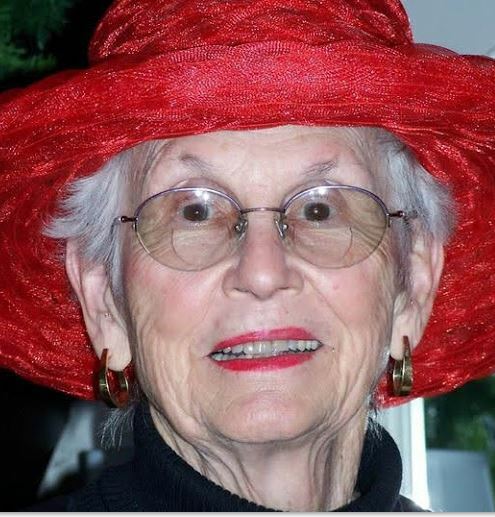 Paulette Bertot Keating, resident of La Cañada Flintridge beginning in 1957 and beloved matriarch of the extended Keating family, passed away peacefully on March 30. Paulette was born in 1924 in Price, Utah, to immigrant parents from Italy and France. She graduated from Carbon College (now called College of Eastern Utah) and was working as a secretary in Salt Lake City when she met and soon thereafter became the faithful wife of well-known La Cañada Flintridge figure Joe Keating. Married for 39 years until Joe’s death in 1984, Paulette and Joe lived, worked and lovingly raised a family in Great Neck, New York; Birmingham, Michigan; and, eventually, La Cañada Flintridge. Paulette is survived by her seven children — Patrick (Santa Cruz), Kevin (Altadena), Suzette McGonigal and spouse Terry (Spokane), Dennis and spouse Marsha (Escondido), Nanette Brown and spouse Fritz (Altadena), Christopher (Canyon Country), and Michael and spouse Nancy (Palos Verdes); 21 grandchildren; and 29 great-grandchildren. A memorial service is planned for Monday, April 8, at 11 a.m. at Cabot & Sons in Pasadena. In lieu of flowers, please send donations to the Kiwanis Club of La Cañada, Assistance League of Flintridge or St. Bede Church. Previous PostPrevious PCY 4th-Graders Attend Concert in L.A.